Why Do You Need To Buy An Iphone 5SE? Obi Worldphone MV1 - A solid but unremarkable affordable smartphone. It seems that you’re not a real phone brand in 2016 unless you have a slightly larger, more powerful phablet sitting alongside your main flagship. 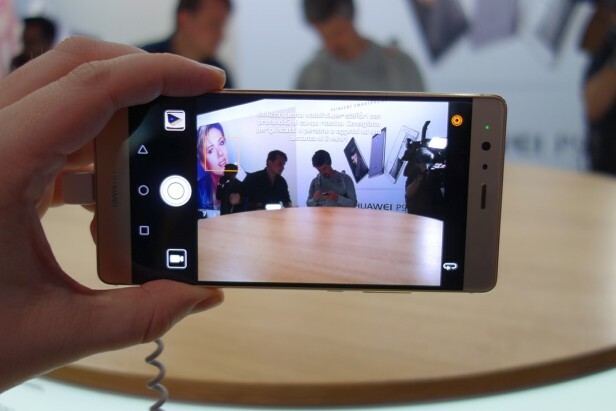 Apple has the iPhone 6S Plus, Samsung has the Galaxy S7 Edge and now Huawei has the P9 Plus. It takes the regular P9 and ups the ante a bit, adding a beefier battery and larger display. There are also a few other exclusive goodies too. 1. It has the same Leica dual lens camera set-up as the P9: The Leica engineered dual-camera set-up is easily the new P9 series&apos; coolest feature. Flip the phone over and instead of the typical single camera lens, you&apos;ll find two of them. This isn’t new or especially innovative on its own – HTC had a dual-camera on its One M8 – but the way it’s used is. Both sensors are capable of shooting 12-megapixel snaps, but one is a dedicated monochrome (aka black and white) while the other is a more conventional RGB colour version. Both sensors can work together to improve low-light shots as the monochrome lens can let in 300% more light. I’ve taken a load of pictures with the P9 (which has exactly the same camera as the Plus) and they’re rather impressive. A fantastic depth of field, fast focusing, bright images and slick, Leica inspired camera app combine to make a strong shooting experience. 2. 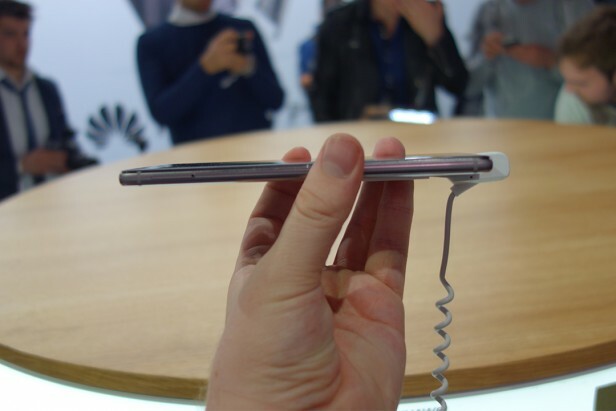 It’s so thin, it’s quite hard to hold: Phones are getting thinner. That’s just something we need to accept. After handling the P9 Plus though, I am starting to feel like we’ve reached something I’m calling ‘Peak Thin’. 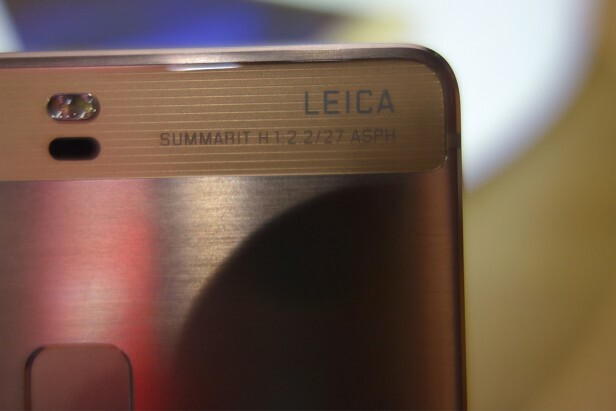 At just 6.98mm thick, it’s 0.7mm thinner than the already skinny S7 Edge and when combined with the 5.5-inch display and almost complete lack of a side bezel it’s a really hard phone to hold. There isn’t much to grip onto, it’s quite slippy and even after just a few minutes holding it I wanted to put it down. Maybe I&apos;ll get used to it, but sometimes thinner isn’t always better. 3. There’s a serious amount of power under that metal body: Performance isn’t going to be a problem on the P9 Plus. Like the dinkier P9 it has some of Huawei’s custom made silicone running the show in the form of the Kiri 955 CPU, but it’s got a gig more RAM making it four and 64GB of internal storage. Oh, and that can be increased with a microSD card. Huawei’s latest batch of Kirin chips have blitzed our performance tests so far and after using the P9 Plus I’ve got a feeling this could be one of the best performers of the year. It’s fast, smooth and a pleasure to swipe around on. 4. 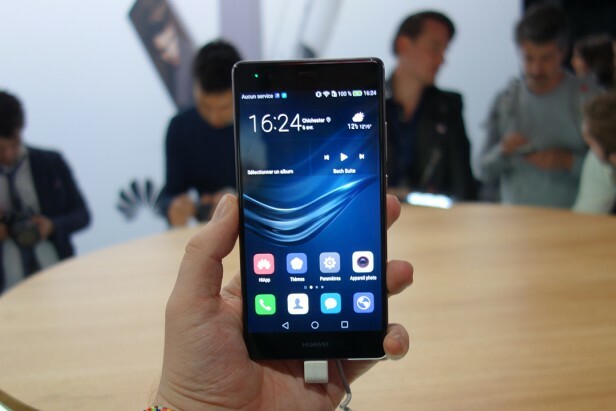 Like the Mate 8, it has Force Touch, sorry I mean ‘Press Touch’: Last year, weeks before Apple unleashed the Force Touch/3D Touch toting iPhone 6S, Huawei announced its Mate S would have a Force Touch display. It was a bit rubbish, and severely limited, but you could press down harder to zoom in and quickly access app shortcuts. It’s back again here, with a slightly less Apple baiting name, and works in exactly the same way. Huawei says 18 apps will use the function at launch, but others will follow soon after. It’s far from a great selling point for the P9 Plus, but it’s an extra feature nevertheless. 5. There’s a huge battery, stereo speakers and a super-fast fingerprint scanner: Keeping this thing, hopefully, chugging along all day is a beefy 3,400 mAh battery. 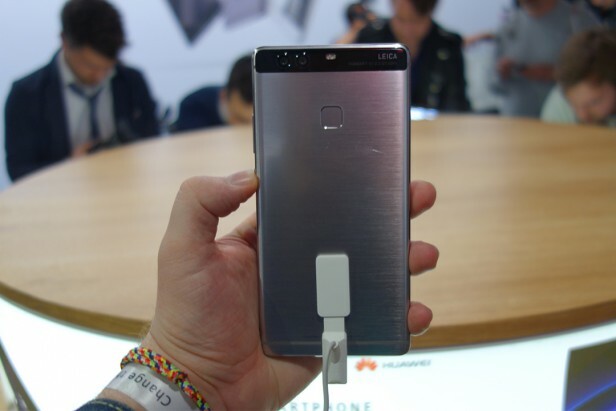 It charges via USB-C too, and Huawei says you’ll get six hours of use from just 10 minutes on charge. That’s pretty impressive. Two stereo speakers sit on the front that I wasn’t able to fully test during my hands on, and on the back is Huawei’s suitably snappy fingerprint sensor. Apparently this is the most secure scanner on any phone yet. The display is 1080p, at 401ppi and it looks good. Though not quite as good as the tough competition. It’s not as crisp or vivid as the Galaxy S7 or S7 Edge and colours look a tad overcooked. I do like the Huawei P9 Plus, but I’m yet to be convinced the extra features are worth the price premium over the regular model. It’s also a seriously tough phone to hold because it’s so damn skinny. This is a phone that needs a good dose of pie and mash.